Get yourselves geared up for an amazing day at a water park in Benidorm. Aqua Natura is in the Costa Blanca and is the number one spot for slides and waves for kids and grownups alike. Have a fun-filled day out in Benidorm at the Aqua Natura on the Costa Blanca. This exquisitely designed water park has absolutely everything needed to make this family outing one to remember. There is something for everyone at Aqua Natura Benidorm. The little ones can play in the kids' area and make the most of the fountains and slides and the grownups can chill out in the spa and sunbathing areas. Admission to the swimming pool, the beach, the spa area, the lighthouse, the slides, the wave pool, the relaxation areas, the children's area and the restaurants and bars. Life guards, changing rooms and the customer service office. With the combined ticket you are well equipped for a day trip to Benidorm: you can first visit the Aqua Natura water park and then also visit the neighbouring Terra Natura Zoo with your combined ticket. The ticket is valid for visiting both parks in one day. Feel free to bring along your own food to Aqua Park Benidorm and eat it in the picnic areas. Please keep in mind that cans and glass bottles are forbidden. Parking is €5 per car. Group discounts can be applied for parties of more than 20. Under 12's must be accompanied by an adult.
! Book a ticket package and visit the water park Aqua Natura Benidorm and the nearby zoo Terra Natura Benidorm on one day. Spend a day at the water park on the Costa Blanca and make the most of the 40,000 m² which are jam-packed with attractions for the young and the old. The water slides wind their way around the park and add up to 1km of sliding action in Aqua Natura. Pick from a bunch of fun things to do in Benidorm at its wicked water park as there are family slides, tube slides, slides for kids and even slides to race on. There is plenty of fun to be had with the amazing adrenaline rushes you’ll experience over and over again in Aqua Natura Park Benidorm! Learn how to swim just like a mermaid at the mermaid swimming school and get closer than ever before to the sea lions and you’re sure to fall in love with them – these two extra treats are not part of the standard admission and only run from May to October. Get your kicks with the foam parties for even more fun in the sun in Benidorm at its water park. There are plenty of options when it comes to what to eat and drink at Aqua Natura. Bring along a picnic in your backpack or try out something at one of the restaurants or snack bars. Spend a refreshing and relaxing day at Benidorm’s water park. If you’d rather put your feet up for a bit feel free to head over to the beach to catch the rays at the water park. Benidorm Aqua Natura also has waterfalls to admire and a spa area to relax in – you can even catch sight of the lighthouse that is in the complex. The jacuzzi is a top pick with the adults as are the massage jets – relax to the max. When relaxing gets old, crank up the volume on the waterslides and at the wicked wave pool. Benidorm Aqua Park has an awesome children's area (max. 0.9m depth) with all kinds to get up to such as water slides, XXL water buckets, interactive games at the water castle with a moat and hidden pirate treasure. Toddlers can play for hours on end in the shallow water under the supervision of their parents and under the watch of the life guards. Getaway and have a blast all day long in Benidorm with your loved ones at Aqua Natura. Please keep an eye on the opening hours at Aqua Natura as they vary throughout the year. Cut out the middle man and come from Alicante by rental car. Make it a day to remember and for all the right reasons! 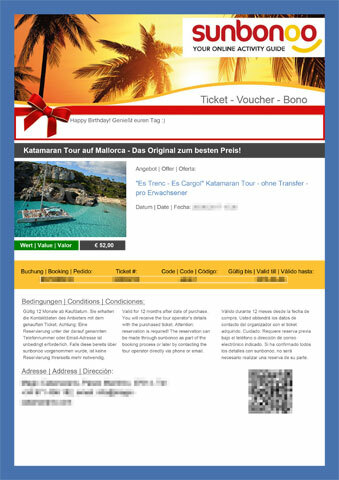 You're reviewing: Benidorm Aqua Natura Park Tickets - go to the water park in the Costa Blanca. How do you rate this product?